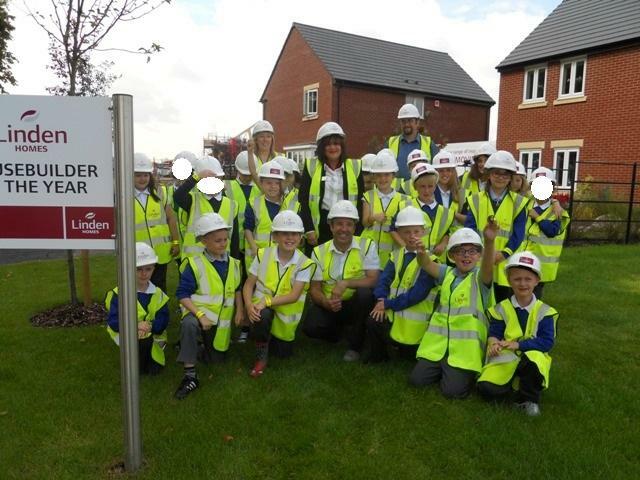 Miss Carvell and Mrs Wagg's classes visted a local building site in Sapcote village today. The Limes is being built on the Hinckley Road, and is a new estate. Of note are the steps the building company has had to take to protect the local wildlife including newts and ancient lime trees! The pupils had a great time learning about modern building methods, how to read architect plans as well as having a good look through the show room. They have also been invited back to see how the development progresses, as construction will continue for another couple of years. We would like to thank the construction company for allowing us on site, and we would especially like to thank Paul who was a font of knowledge and communicated with the pupils fantastically.